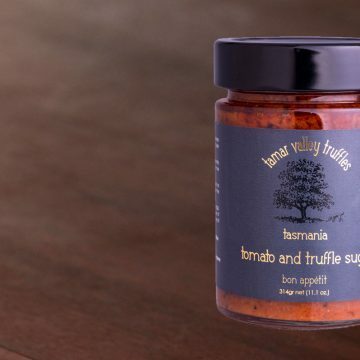 Tasmanian Truffled Butter is a cultured French-styled butter with a creamy rich and delicate flavour, made by Rod Wyker, then select black truffle is added to create something absolutely decadent. 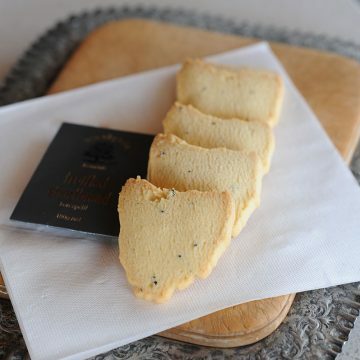 Slice and put on warm steak, chicken or fish to allow it to melt over the piece, wafting off its delicate aroma. 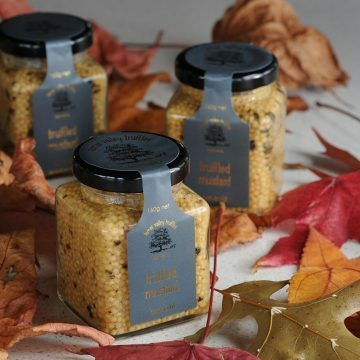 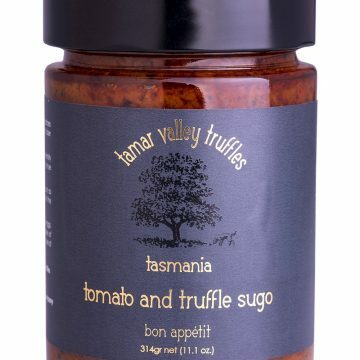 Use as an extra garnish with pasta or spaghetti, or simply add it to scrambled eggs (preferably infused truffled eggs) – the very best way to go! 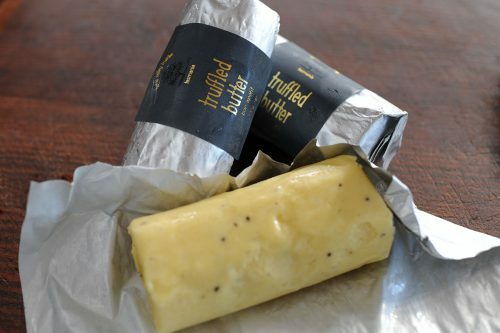 Keep refrigerated between 2 – 4 degrees C.